2. 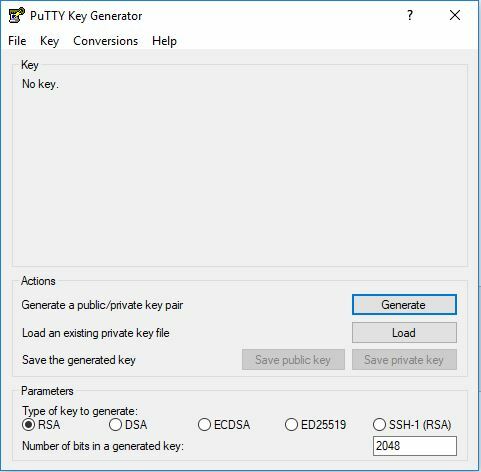 Open PuTTYgen and 'Generate' new key. 3. Copy the key and paste it when required on your cloud server provisioning. Select 'Save private key' and save it on safe location, you will use it to login to your server. 4. 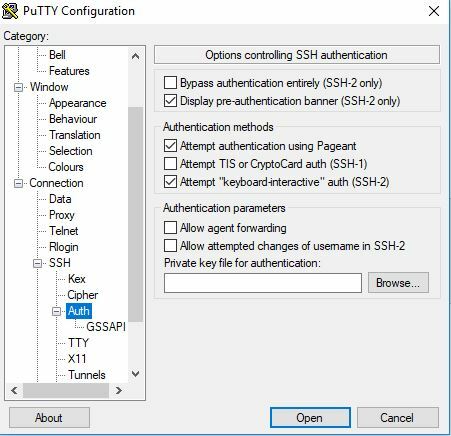 Download and run putty https://www.chiark.greenend.org.uk/~sgtatham/putty/latest.html. 5. Use the server IP, load the private key and open connection. Make sure the box "Display pre-authentication banner" is ticked while "Bypass authentication" is unticked. Use 'root' user when asked for login (follow ssh instructions for Asia servers).